The stylish EuroChef Electric Ceramic Cooktop boasts 6200 watts of cooking power, and provides many smart features at your fingertips. The sleek black frameless ceramic glass has been designed to integrate beautifully within any kitchen setting. With four cooking zones you can quickly create a delicious meal for the whole family. The touch controls allow you to set the power level of each individual zone separately. 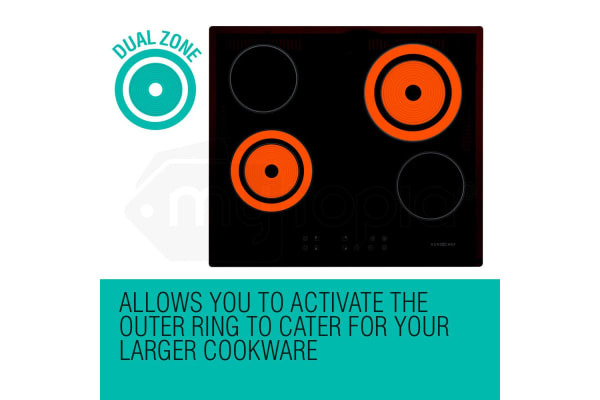 Two zones are Dual-Zone equipped, allowing you to activate the outer ring to cater for your larger cookware. For your peace of mind, the EuroChef cooktop has a built-in Child-Lock function, Residual Heat Indicators and an Automatic Cut-Off function. You can even pause all four zones with a single touch, in case you need to step away urgently! A timer can be set on each zone so there is no need for you to be on standby in the kitchen. 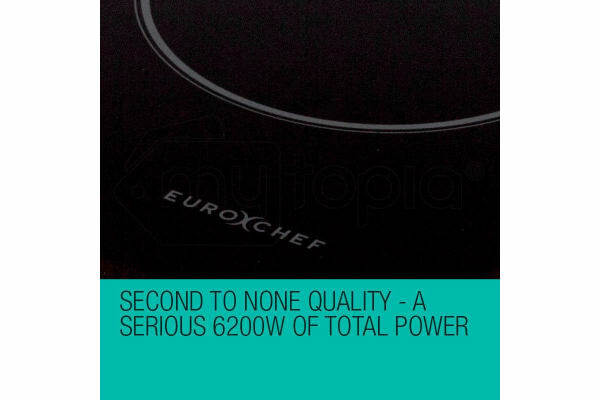 With EuroChef you can be assured of the highest quality performance for the life of your appliances. 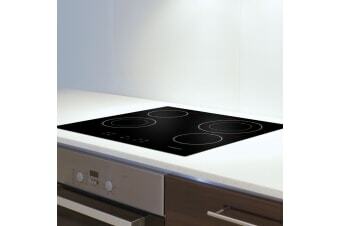 Order your EuroChef Ceramic Cooktop Today!